Born in Northampton, Jonathan began his dance journey at The Fairweather School of Dancing before completing his study of both classical ballet and contemporary at the Rambert Ballet School. After graduating in 1996, he joined CAPAB (since renamed the Cape Town City Ballet Company). 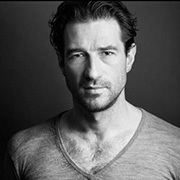 He became a Principal before returning to England in 1999 to join Northern Ballet Theatre (now Northern Ballet) as Principal, playing Heathcliff in David Nixon’s Wuthering Heights, Stanley in A Streetcar Named Desire and Hyde in Jekyll and Hyde. Jonathan was awarded an honorary fellowship to the Dance Critics Circle and nominated by them as best young dancer in 2003 and best male dancer 2004. He then joined the Alberta Ballet Company as a Principal dancer in 2007. He died tragically in a motor biking accident on his way to perform in the final show of Bourne’s production of The Car Man at Sadler’s Wells Theatre in 2015.